Charles Tripp, Professor of politics with reference to the Middle East at the School of Oriental and African Studies University of London and a Fellow of the British Academy, talks to Art Breath about his latest book, art and politics. You have written several highly acclaimed books, your most recent book ‘The Power and the People, Paths of Resistance in the Middle East’ looks at the different types of resistance that can be used against power, what made you decide to write this book? This book had its origins in my feeling that much of the analysis of politics in the Middle East had been focused on states and elites, or had been informed by prescriptive ideas of what forms politics in the region should take. I also felt that there was a lack of historical depth in much that was being written about the region’s politics, often leading to a sometimes wilful misunderstanding of the degree to which current political struggles were themselves the outcomes of the ways in which power had been used and abused to shape the lives of the region’s inhabitants. 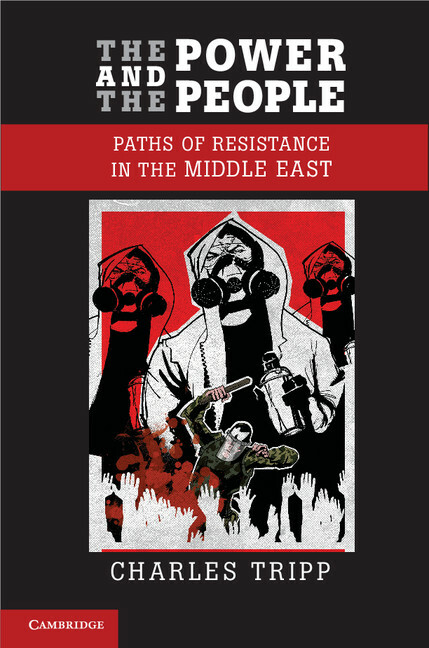 More immediately, the book itself came out of the very positive reactions of my students to a Masters level course that I developed in 2008 on the politics of resistance in the Middle East. 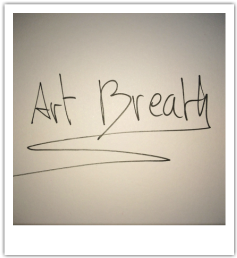 One of the tools of resistance that you highlight in your book is art, you name this path ‘the arts of resistance’, why do you think art is such an important weapon for those resisting power? I would argue that art is always potentially implicated in the constellations of power in any society. Precisely because it can be such a potent expression of human creativity that touches the imagination and shapes the way that we may see the world, art has been of interest both to those who exercise power and to those who are seeking to challenge that power. In resisting the dominant order of power, art can present another way of seeing the world that may challenge the version that the powerful want us to see, it may open our eyes to those aspects of established power in a society that have remained deliberately concealed and it can be an affecting means of puncturing the pretensions of the powerful. In doing so, it can contribute to the erosion of authority and thus feed into a project of resistance. In your book you separate ‘the arts of resistance’ between the political poster, graffiti and the visual arts, explaining their different forms of power, and how posters and graffiti can reclaim public spaces. Did you also find that each variation of art was faced with different amounts of obstruction? In many respects the power of art in disrupting and disturbing dominant power can be seen in how the powerful respond. It has been said that censorship is the tribute that power pays to art – even if the price paid by the artists themselves is often terrible. Different forms of art intervene in different spheres and often, therefore, evoke particular responses. Thus, graffiti, street art and posters are frequently associated with the battle to reclaim public space, to put messages and images before the public that may help to constitute that public and thereby bring into being a body of citizens that resists the passivity, obedience or conformity that dominant power may have mapped out for them. Visual art that may be displayed in other settings can work in a different way, often serving to trouble and disturb dominant norms and conventions that are widespread in society, but that also help to reinforce a certain kind of political order. This may not be directly linked to any kind of distinct political resistance project, but in its capacity to shock and to make people see the world differently it can have a cumulative effect on the power of convention, thereby throwing into doubt the conventions on which established power may depend. Your book looks at power relations between people and the state, as well as it depending on a person’s personal view, how much do you think power affects what is seen as art as resistance with what is seen as art as propaganda? There is often a tension between the artist as independent creative agent and the demands of a collective political project. This happens both in the context of state sponsored art, as well as of the art associated with particular resistance movements. Although many extraordinarily gifted and brilliant artists have often willingly created works of art that enhance both established and insurgent power, there is always the possibility that the demands of a political organisation will cramp or censor the style of the artist, diminishing thereby the affective power of the work itself. We tend to label as ‘propaganda’ that which has been too obvious in its championing of some cause or other and which we therefore suggest has sacrificed artistic integrity for the stridency of the message. But this will be to some extent a matter of subjective judgment, as well as possibly the ways in which that changes over the passage of time. Thus Michelangelo’s Sistine Chapel could be regarded as pure propaganda, commissioned by a Pope to reinforce the power of the Church. But few would question its artistic value. More recent artistic efforts in the service of established power, or indeed insurgent power, may be judged more harshly. As well as art being a tool to aid resistance, do you think it could also be used as a mechanism that may lead to dialogue between different parties, aspects of Peacebuilding and Peacekeeping? Insofar as art is part of human expression, shaping the way we look at and value things, then it may well have a bearing on peacebuilding. This is particularly the case when one thinks of how powerful some artistic interventions have been in demonstrating the horrors of war and violence – as in Goya’s horrifying series ‘The Disasters of War’ which confronted head-on the tendency in art at the time to focus on the heroic and glorious aspects of war. The other feature of art that might be of relevance is its affective potential, creating the possibility of empathy and thus laying the foundation for the understanding of another’s point of view and position (just as it can also operate by the same means to demonise ‘the Other’). The Italian Prime Minister Matteo Renzi in his budget speech, said he would fight terrorism with culture, what are your thoughts on how much Art and Culture as Soft Powers may have? There can be no denying the power of art and it is this that may attract those who wish to link it to their own particular political project. But this is a tricky area, as indicated in the answer to the 4th question above. Art in this sense is not simply an instrument to be picked up and put down at will. In fact, this may be the distinction between art and kitsch. The more obviously any kind of cultural production is harnessed to a distinct political project, the greater the danger that it will be read or seen only in terms of that project, thereby making it more 2-dimensional and potentially diminishing its affective power. It may mean that it will only be seen by or responded to by those who already subscribe to the political project itself, making the art in question more of a political commodity than anything that could open the imagination to new ways of seeing the world. Your book highlights art as being a great tool for exposing gender issues, with women using it to showcase their resistance to the status quo, in your opinion, how important do you think art and power can help to overcome the gender barrier in the Middle East? Precisely because art can engage with multiple forms of power, causing people to think again and possibly to question hitherto accepted or unquestioned norms it can be a means not only of highlighting, but also challenging restrictive or oppressive social relations that many may hitherto have taken for granted. Just as it can also reinforce them. Gender norms and the unequal power associated with gender, are precisely such issues, not simply in the Middle East. It is striking, however, that many artists in the region, both female and male, have focused on issues of gender, very often linking them obliquely but creatively to the systems of power that seek to impose specific roles on women and men, as well as questioning the social expectations that sustain such systems of inequality. It is doubtful that art in itself can overcome deeply entrenched prejudice and power, but it may contribute to questioning the certainties surrounding gender issues and thereby be part of a larger process in which pragmatic, as well as affective considerations may serve to change the status of women. Is there a particular art work that has moved you? And why? This is a very difficult question to answer, given the creativity and variety of contemporary art in the Middle East and the ways in which it may be implicated in larger projects of resistance. In the realm of street art, I found the portrayal of those who died in the upheavals of the Arab uprisings in Tunisia and in Egypt to be some of the most poignant and moving. Works by Zoo Project in Tunis and by Ganzeer in Cairo are powerful as works of art. But they also capture something of the extraordinary spirit and bravery of those ordinary Tunisian and Egyptian citizens who dared to stand up to repressive power and paid for this with their lives. Adding to the poignancy and power of these images, is the knowledge that they are ephemeral, having been largely effaced or allowed to fade in the years that have followed. Yet they live on in the wider public sphere of the internet as indelible reminders of the human spirit. ​Charles Tripp, is Professor of politics with reference to the Middle East at the School of Oriental and African Studies (SOAS), University of London and a Fellow of the British Academy. Professor Charles Tripp is a specialist on Iraqi history and politics, and was invited as part of a team of specialists to 10 Downing Street to inform Tony Blair on the consequences of going to war. He is one of the founders of the Centre for Comparative Political Thought at SOAS, and has been a regional expert contributor to BBC, NPR, Foreign Affairs, The Guardian, and the New Statesman. He has published a number of highly acclaimed books including ‘Islam and the Moral Economy: The Challenge of Capitalism (Cambridge University Press, 2006)’ and ‘A History of Iraq (Cambridge University Press, 2000, 2002, 2007)’. His most recent book is The Power and the People: Paths of Resistance in the Middle East (Cambridge University Press, 2013).